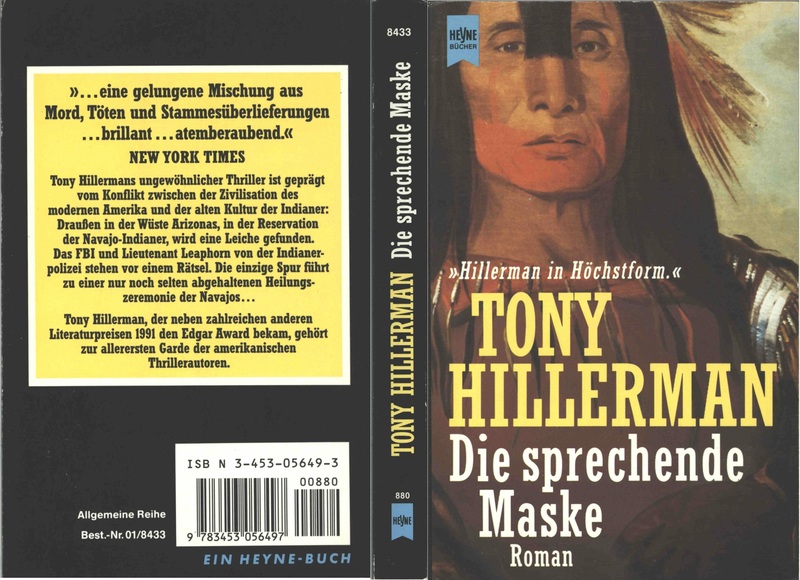 This is the full and detailed views of the cover for the German paperback edition of Talking God, the ninth book in Tony Hillerman's Navajo Mystery Series. This 1992 edition was published in Munich, Germany by the Wilhelm Heyne publishing house. The text was translated from English into German by Peter Prange, with the title translated as "The Talking Mask." 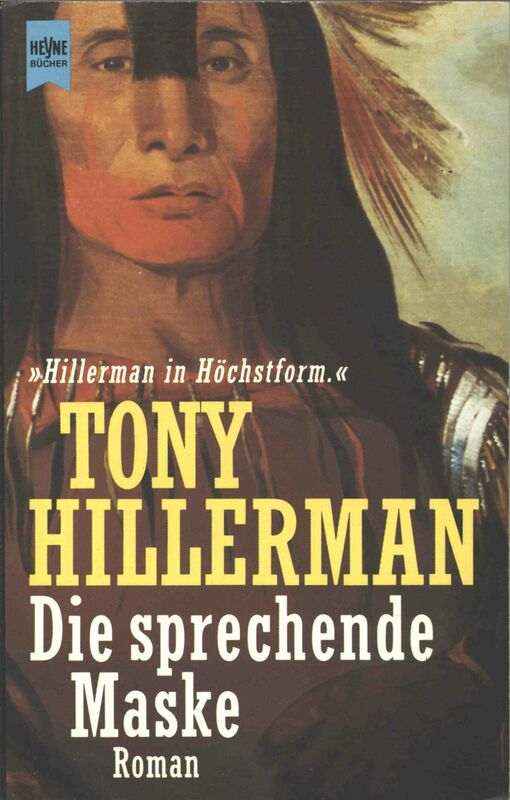 The cover was designed by Atelier Ingrid Schütz who uses a reproduction of a portion of an oil painting (artist not identified) of a Plains Indian. The original image is housed at the Archive for Art and History in Berlin.